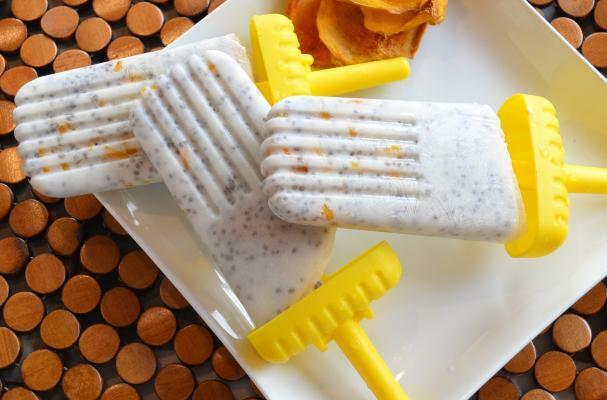 Take a break from the heat and make these delicious vegan mango chia seed ice pops from May I Have That Recipe. Chia is a plant that is related to the mint family. Prized for their nutritional properties, chia seeds are rich in omega 3 fatty acids, protein and fiber. If you don't have a ice pop mold, you can make these pops in small paper cups.